In April of last year, Cincinnati City Council passed a plan to implement a $200 million trolley system running over a four mile loop and serving three of Cincinnati’s neighborhoods. That plan was expressly contingent upon Council raising $32 million in funds for the project from private industry. How’s the private fundraising coming? In August of last year, the City established a separate fund to accept private trolley contributions. Now after an entire year COAST inquired as to exactly how much the City has raised from private donors. The answer: Zero, zip, nada, zilch. A big goose egg. That’s right, after 365 days of scouring the City for private donations for the pie-in-the-sky dream of a few out-of-touch Council members, not one red cent in private dollars has been raised for the trolley boondoggle. Councilmember Chris Bortz committed at a meeting of the Blue Chip Young Republicans in April of 2008 that if the City did not raise the private funds, it would abandon the trolley plan. To date, the City has not yet abandoned the foolish plan. As a reminder, those Council members voting against this profligate waste of money were Council members Monzel and Cranley; voting in favor were Ghiz, Thomas, Qualls, Berding, Bortz, and Crowley. Read more about the original passage here. I find that hard to believe. Where did you recieve this information? Do you have any references to back up your claims? The City Manager was instructed by Council to report back to them quarterly on fund-raising progress. COAST regularly makes official public records requests for these reports just after their due dates. Also, we made a phone call to the city finance office prior to releasing our newsletter. They confirmed that the special account set up to receive donated streetcar funds continues to have a zero balance. I find it hard to believe that there have been literally zero dollars raised privately. What about the news reports of the "Streetcar wedding" or the donation from Duke? Are these funds being held in a different account? "Now after an entire year COAST inquired as to exactly how much the City has raised from private donors. The answer: Zero, zip, nada, zilch. 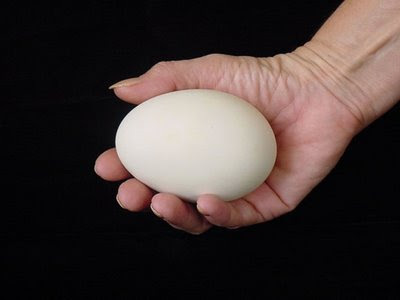 A big goose egg." Where was this inquiry directed? Who specifically gave you "the answer" that there is no money? Duke Energy, the "streetcar wedding," Cincinnatians for Progress, Alliance for Regional Transit have all raised money for the effort in different ways. Some of that money will come as in-kind gifts, but are private contributions nonetheless. If you want to rephrase your article comments and headline to say something like $0 in the dedicated private donation account for the Cincinnati Streetcar as allocated by City Staff then it might be more accurate. As for Bortz, and the rest of council for that matter, the financing plan they approved was for X amount of private funds to pay for the system. If those private funds aren't raised, then the financing plan they approved will have been changed and thus need to go back to the Finance Committee and full City Council for a vote to modify that agreement. I'm not sure why City Manager Dohoney hasn't reported back yet, but he did state that he would report back at the beginning of '09. Also in reality the city did not start negotiations for private contributions 365 days ago. They started after they got approval for the financing plan from the full City Council which happened in the Fall if my memory serves me right. It would have been awfully difficult to look for private contributions to a project that hadn't received any kind of approval yet from Council. I appreciate what COAST does and stands for, but try to avoid the sensationalist headlines and arguments in the future. If you'd like I would be more than happy to sit down with you and clarify the current proposal, its future steps, funding, and how modern streetcar systems (which are used in most every other developed nation) are more than the toy systems and "boondoggles" you make them out to be. Is COAST willing to have this kind of constructive debate, or is COAST planning on maintaining the same position of promoting falsehoods and fabrications of reality to the voting public? Thanks Randy, I'd enjoy sitting down and discussing this. Particularly the funding plan. At the Invest-in-Neighborhoods Summit, Michael Moore was pretty clear that the city intentionally avoided fed funds because of the strings attached, and their inherent delays. The "porkulus package" seems to have reversed that. I'd love to hear the new fiscal strategy. Pick a reasonably quiet watering hole anytime outside of core office hours, and I'll buy the 1st round. You have my contact info. ^Now that's an offer I can't refuse. I'll send you an email or give you a call in the next couple of days. It turns out that the $0 claim is not exactly accurate. I will linkify that for your clicking convenience. Why hasn't this post been updated to reflect the more accurate information that has been provided by Travis Estell? My wife and I lived in Cincinnati from 95-2001 and returned in 2006. We lived in DC and New Orleans from 2002-2005. Both of those cities have rail systems: DC's Metro and New Orleans streetcars. We came back to Cincinnati because we love this city and know what it can be, we see the vision of how amazing it can be and want to live here for that reason. We bought property in Over the Rhine because we believe in the City and the prospect that the streetcars could connect us with Findlay market and the Riverfront. We put our money where our mouth is. And now we come back to the same old naysayers who have no vision, the same reason why there is an empty tunnel system underneath this city rather than competing with Chicago as a Midwest innovator. I would like those of COAST to go to the Museum Center and look at the miniature diorama of Cincinnati and look at all the little streetcars that we were so proud of. Streetcars are an investment in our city and they show vision of what we want to be. They say 'Our city core is important and we are investing in our infrastructure'. More prisons sends another message and is another telling vision of who we think we are.